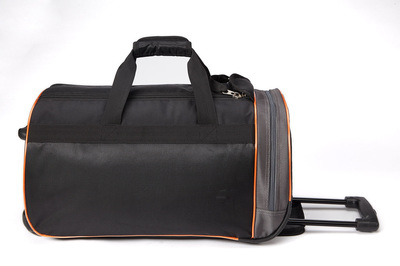 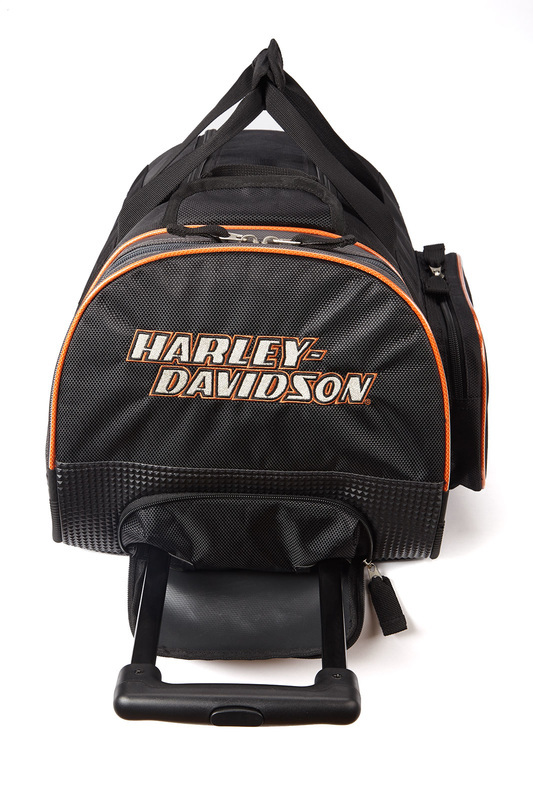 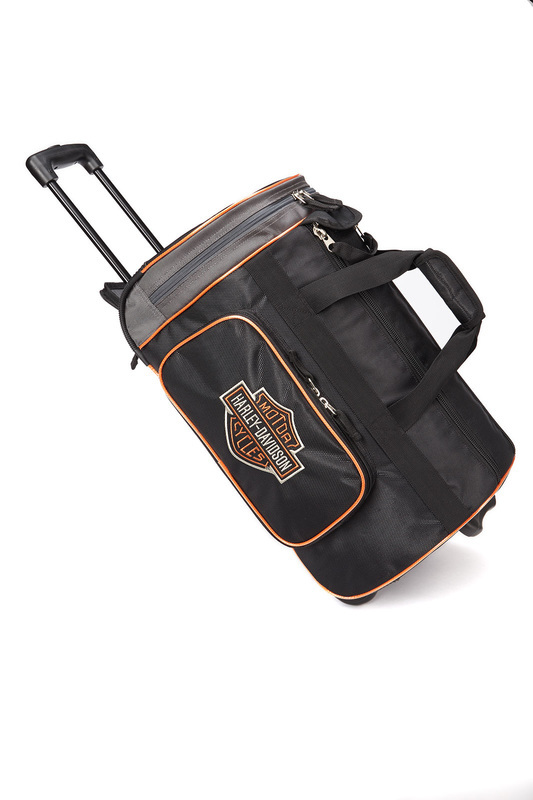 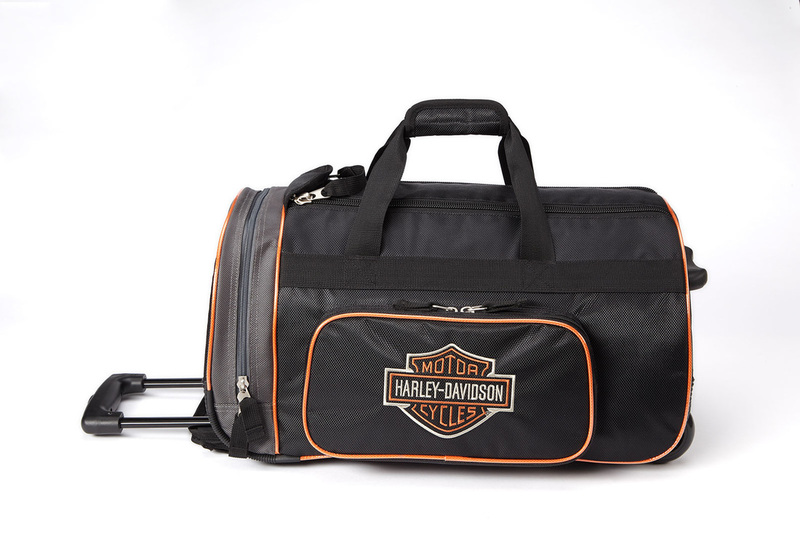 Harley Davidson's 20” Travel Equipment Duffel bring to life the Harley Davidson brand and appeal to rugged individualists with appreciate well thought out features and design. Constructed from high density polyester, a telescoping handle system with an ergonomic hand grip, and large ball bearing in-line skate wheels for easy mobility. 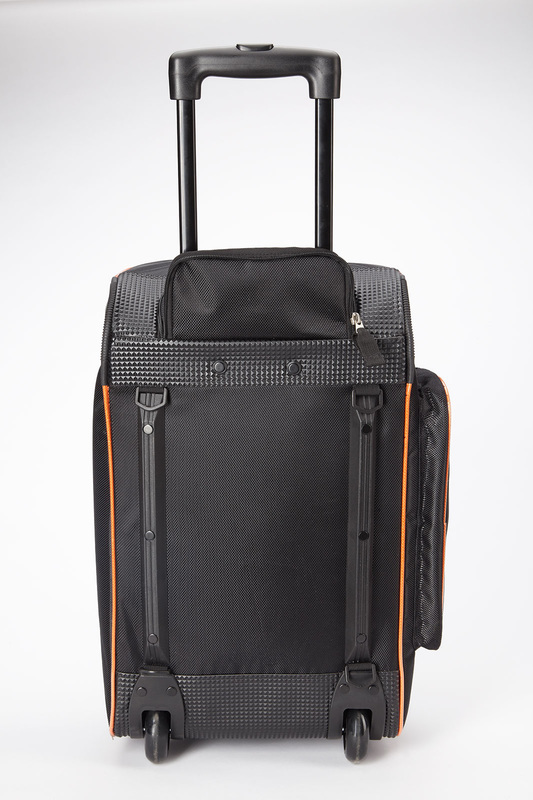 These durable duffels have a large main compartment to hold your bulky gear. 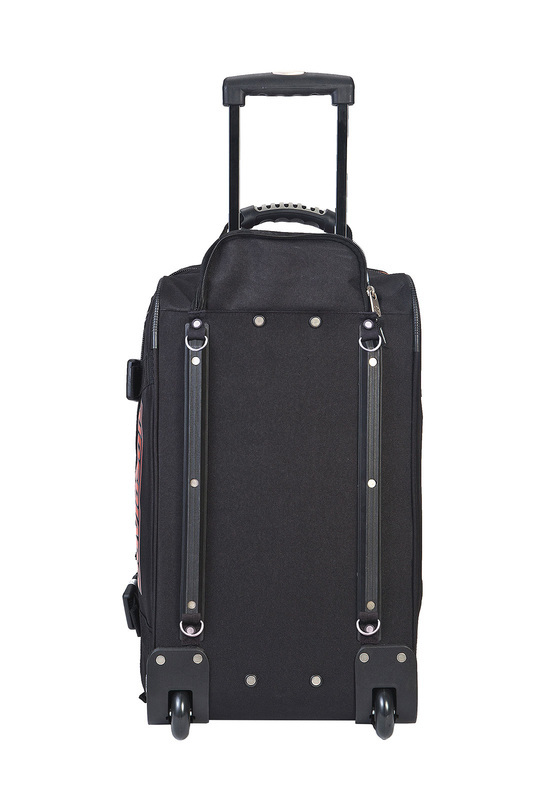 Exterior Dimensions: 20" x 12" x 10 "
Weight: 7 lbs., 5 oz.